The pencil is today a very common object that is used by millions of people all over the world, whether for writing or drawing, and which has a certain permanent place in today’s modern world as well. The pencil has always been a symbol of scholarly learning, as it was and still is used to record thoughts and ideas. The invention of pencil-filled solids as such, is more than 400 years old, however, today’s type of pencils, filled with a graphite mixture, appeared about a hundred years later. The Czech lands have played a significant role with the natural resources of high-quality graphite in the country’s southern region, which has exported to the whole world. Joseph Hardtmuth (1758 – 1816) was a very talented man who, in his time, excelled in architecture and was the author of many inventions. 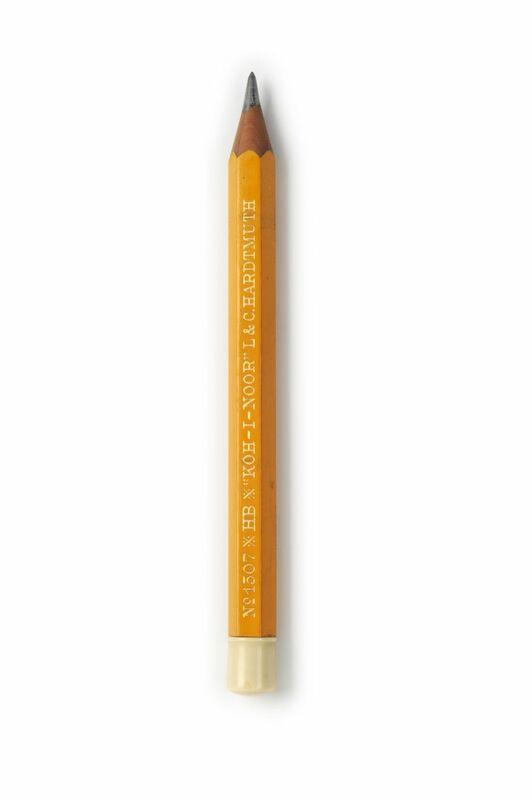 The one which made him famous, even until today, is the invention of a process for mixing graphite with clay to produce a pencil, which allowed the manufacture of pencils in larger quantities from the available materials while maintaining the same quality. This so-called Viennese method is still used to make pencils all over the world. The factory he founded in Vienna did not reach its height until the times of his grandchildren, especially after moving to České Budějovice in Southern Bohemia, closer to the raw material deposits. The L&C Hardtmuth factory has been operating there since the middle of the 19th century and has experienced an unprecedented boom. The founder’s grandson Franz brought forward further improvement of the technology for producing graphite stiffeners by improving the graphite mills to achieve better and faster processing of raw materials. In addition, these so-called “Czech mills” changed the ratio of graphite to clay and the grinding time and thus were able to create different grades of stiffness. The range of products expanded during this time. 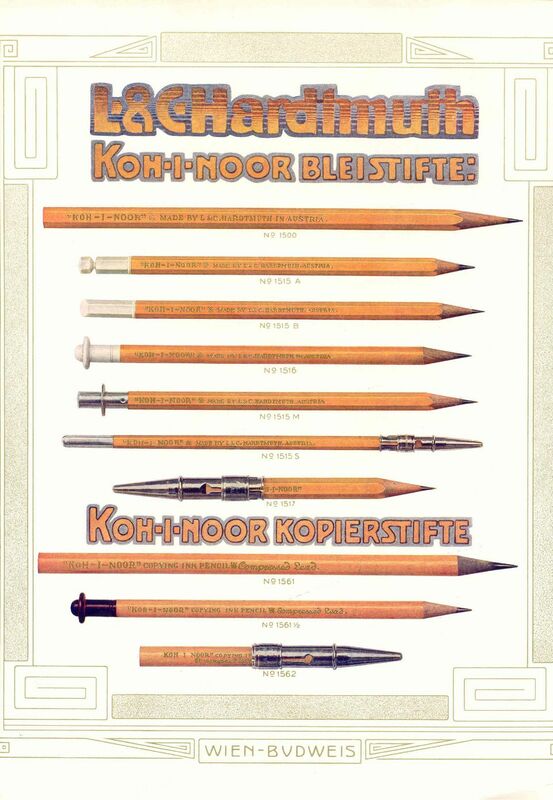 It was Franz Hardtmuth who introduced a new scale for marking pencil hardness. 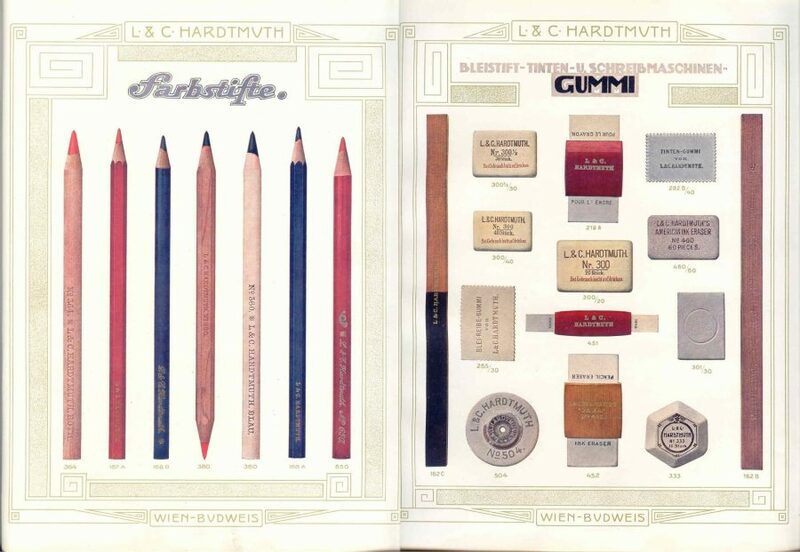 Soft pencils were marked with the letter B, middle HB, hard H and special stenographic pencils were marked as F.
The letter H stands for Hardtmuth, B for Budweis, the German name of České Budějovice, and F for Franz. 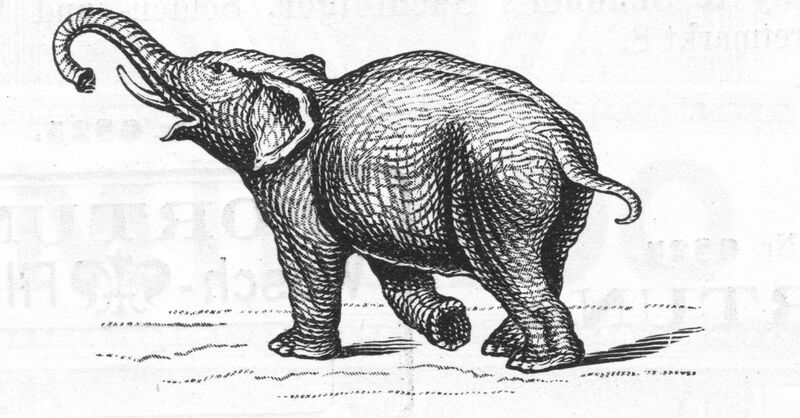 A number of foreign manufacturers later took over this scale, but the origin of the letters is often misinterpreted. Likewise, the world’s most famous and best-known product of the company is associated with the name Franz Hardtmuth. 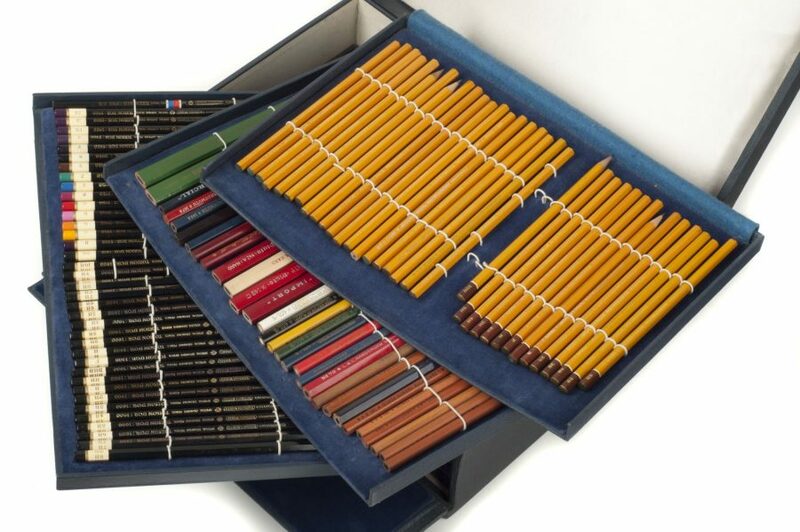 In the second half of the 19th century, he launched the then completely atypical pencil in yellow, named after the Koh-i-noor diamond, which soon gained world fame and has been synonymous with quality ever since. This graphite pencil is still produced today. During its years of activity, the company has won a number of world awards and its products have become a guarantee of quality. In the 20th century, the name Koh-i-noor was added to the name of the company. 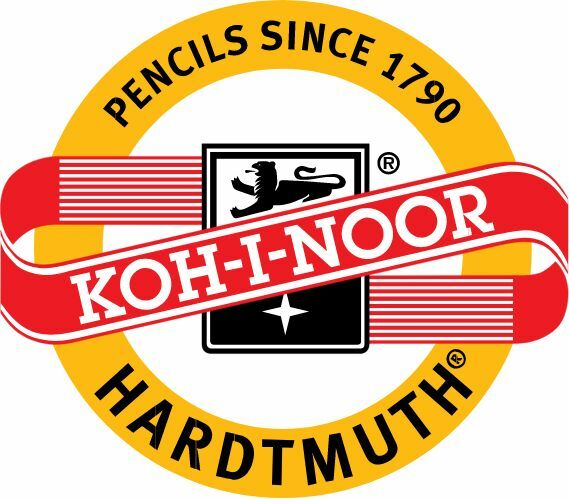 Koh-i-noor Hardtmuth continues to operate and maintains the legacy of the Hardtmuth family.